Moradabad in western UP was the most affected district in the state, with as many as seven deaths reported from the district. 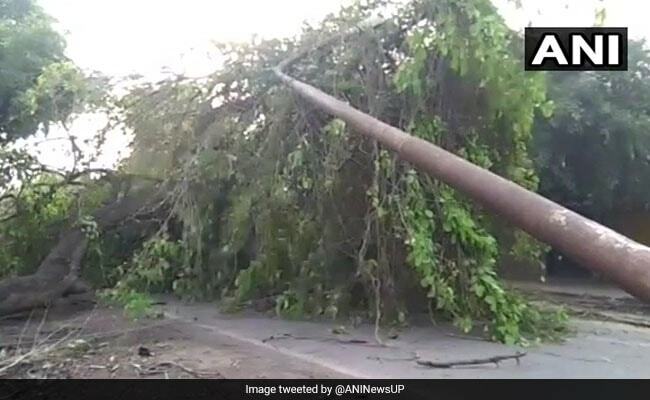 As many as 17 people were reported dead and nine others injured after a thunderstorm hit various regions of Uttar Pradesh on Friday. An UP government spokesperson today said that most of the deaths were caused due to falling of trees and house collapse. Moradabad in western UP was the most affected district in the state, with as many as seven deaths reported from the district, followed by three deaths from Sambhal, the state government spokesman said. Two deaths were reported each from Muzaffarnagar and Meerut, while one death was reported from Amroha, he said. The state government has directed all district magistrates to distribute relief within 24 hours. On Wednesday, 40 people were died as thunderstorm and lightening struck different parts of the state. The Met department has predicted thunderstorm accompanied with squall and lightning at isolated places over UP. On Friday, sudden dust storms with speed of 40 kmph hit Delhi, Noida and Ghaziabad on Friday, bringing some relief from the sultry weather. A few flights were diverted due to the dust storm, sources at the IGI Airport said.